1 So you want some golf driving tips to increase your distance? 4.1 Do you have flaws in your swing mechanics? So you want some golf driving tips to increase your distance? Believe me, you are not alone. There are so many beginner golfers who struggle with adding yards to their drives also. It baffles me when I hear that “increasing your distance off the tee isn’t important”. These people will say that you should concentrate on getting your shots in the fairway first and foremost. Although this is somewhat true, adding some distance to those fairway shots seems to be a whole lot better. Furthermore, have you ever noticed that professional golf players with the highest fairway percentage finish well below those who have a higher average driving distance? Hmm, some thing to think about. Given these facts, it doesn’t mean you should focus solely on driving the ball off the tee. 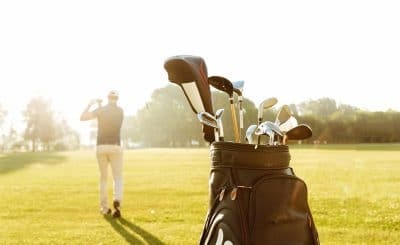 There are other aspects of the game that are just as important, if not more important, that will lower your golf scores a lot quicker (such as, putting and chipping). But today, you want tips on how to improve your golf driving distance. First off, tip #1, resist the urge to go out and buy brand new clubs. Trust me, it is not the clubs. It cracks me up when I see golfers looking at their drivers after a bad shot and say “I think I need a new driver”. What they truly need is to spend some time practicing and developing some good swing habits. Instead of buying a $200-$400 driver, you should investment that money into some good golf swing instruction such as “The Simple Golf Swing System”. It is a whole cheaper than purchasing new clubs and it works. 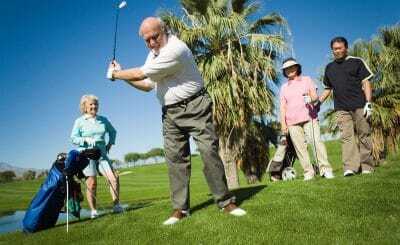 Have you noticed that today’s golfers are becoming more fit? This could be the reason why the average golf driving distance is getting longer. I have also noticed a trend in golf related exercise and fitness centers that have been springing up over the last few years. These programs can be very valuable. However, it can be hard to justify the expense unless you have a lot of spare time to play several times a week. Or, unless you plan on joining the PGA tour. Anyway, according to many golf fitness experts, your golf swing and golf driving distance starts with strengthening your core muscles for stability. Thereafter, adding elements of flexibility, strength, balance and coordination. Understand that without a strong core, you will not be able to achieve consistency or the desired distance off the tee you want. The following are some simple training exercises that you can perform at home to strengthen your core:* Crunches* Hanging Leg LiftsAlso, training with a weighted medicine ball to perform other core exercises is great. All these things can be done without an expensive membership at a gym. Not only will you add yards to your golf driving distance and improve your performance, you will reduce those injuries related to playing. Do you have flaws in your swing mechanics? You probably do, if you are reading this article. You shouldn’t worry though because these things can be improved over time. In some cases, they can be improved in weeks, not years.In order to increase your golf driving distance, you must learn to eliminate these swing flaws. The elements of the golf swing that you should examine are the backswing, the downswing, point of impact, the release, and the follow through. You should not look at these elements as a series of individuals actions, but as one fluid, continuous motion. Which includes the takeaway, sets up everything that follows. If you have a lousy backswing, everything else will fall apart, causing a poor shot. However, done right, you increase your chances of making a great shot.Downswing – this is the point where you release all that stored energy from the backswing. The transition of the backswing to downswing should be seamless and graceful with no hint of yanking the club down aggressively into the golf ball. How the club head makes contact with the ball will determine the flight path of your shot. If you want to hit a relatively straight shot, the club head must be traveling directly down your target line and the club face must be perpendicular to the line. This is when your hands and forearms rotate counterclockwise slightly as the club head comes into the ball during the downswing. Without this action, the club face would stay open or point right of the target line and cause you to slice. This is what your body and club do after impact. Even though this will not affect the ball in any way, you still need to complete your swing properly. Just imagine, if you suddenly stopped swinging the instant you made impact with the ball, you would lose club head speed. If all this seems too complicated or too many twist and turns to remember, I recommend that you take a look at the “The Simple Golf Swing Method”. It is easy and it simplifies the whole process. I recommend it because it works and it has a boatload of testimonials. Plus, it is GUARANTEED to add yards to your golf driving distance and lower your handicap or your money back. And, it is less than a round of golf in most places. You can’t lose! Like all other sports, it takes practice to improve and get better. Before taking it to the golf course for your next round, you should make use of the driving range to work on your mechanics. Also, develop an exercise routine that will strength your core muscles. 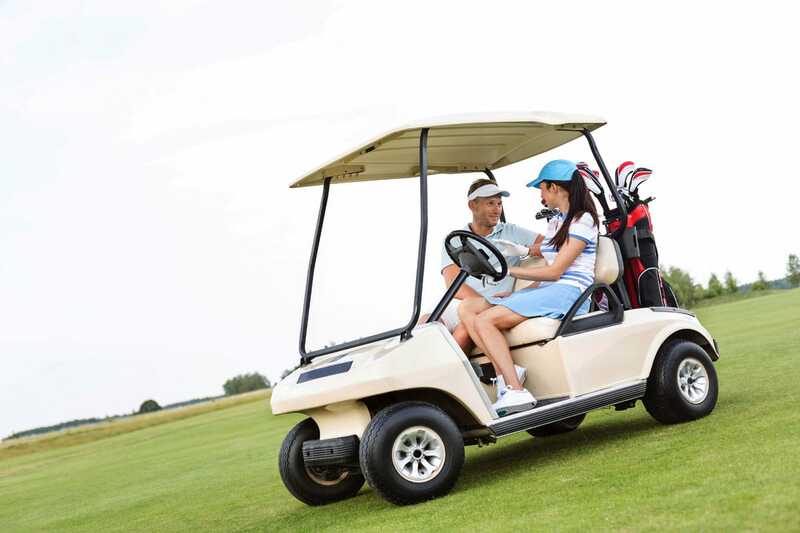 Following these golf driving tips, you should see a vast improvement in your power and you will be able to drive the ball long and far with accuracy.After you have made your improvements, now you can go out and buy that shiny new driver that you’ve had your eye on! Copyright © 2017 DCGolfreview.com All rights reserved.